Having just returned from 4 blissful days of kirtan, yoga and workshops at Shakti Fest in Joshua Tree, CA, I AM exploding with divine feminine light and love to cast upon you. Shakti Fest is a more retreat like version of its parent yogi festival, Bhakti Fest. The heart of Shakti Fest, like its name depicts, is centered around the divine feminine. One of the key transformational experiences that came out of the event was divine union with one our Living Fae archetypes Lakshmi. Lakshmi is the Hindu Goddess of wealth, prosperity, fortune, and the embodiment of beauty. She represents these energies in both their spiritual and material forms. As light workers we are attracted to numerous deities and have built altars, invoked and performed rituals to honor each of them. Lakshmi has most certainly always been around and within us, but presently she is shining through to us ever more prominently. She of course comes to us in perfect timing as we channel even more light and love into Living Fae. Lakshmi is the embodiment of the superior divine feminine energy. She purifies, empowers and uplifts you. She is also the personification of Kundalini which is the Spiritual energy within us and the universe. Her arms signify Purity, Prosperity, Perfection and Freedom. 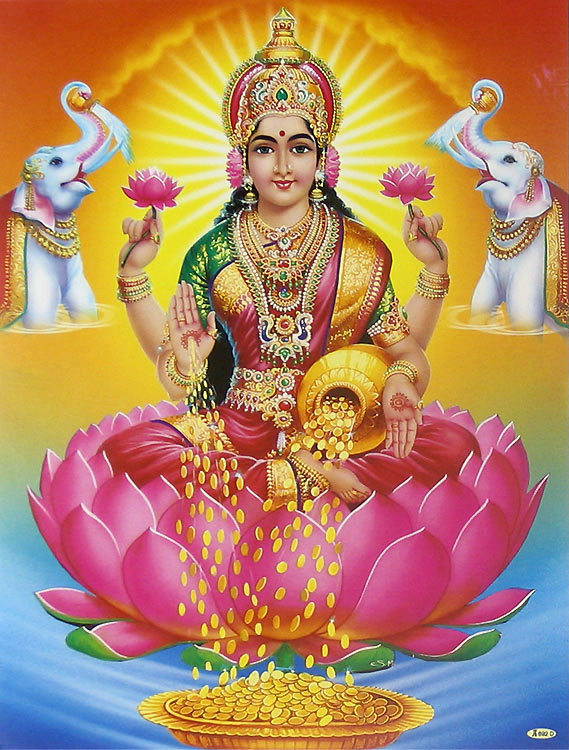 The gold coins continuously flowing out of her left hand represent endless material prosperity. Her right hand symbolizes blessing and assurance of safety to her devotees. If you want to bring more Lakshmi into your life create an altar for her and make it one of the most beautiful altars you have ever created. Surround it with flowers and all things you find of beauty. Then set your intension for all the abundance you wish to create. After you’ve designed the altar spend time chanting her mantra in front of it. It’s good to chant it 108 times daily, which only takes about 8 minutes of your time. It is said that if you chant a deity’s mantra in front of it it is infused with the divinely channeled energy of the mantra. Translation: Om and salutations to She who provides abundance. You can chat the mantra with Deva Premal here. May Lakshmi fill your life with beauty and abundance beyond measures. Check us out on FaceBook at www.facebook.com/LivingFae and LIKE our page to receive our Daily Inspirational Messages. Follow LIVING FAE by clicking “Follow” in the bottom right corner of the screen and enter your email address. To ensure delivery to your inbox please add “donotreply@wordpress.com” to your contact list. 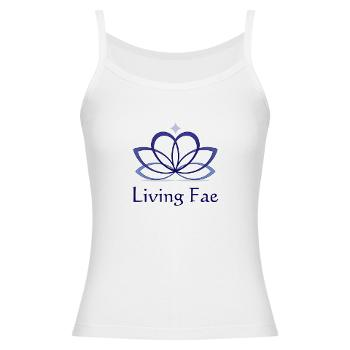 For INSPIRATIONAL products bearing our logo please browse Living Fae Marketplace at Café Press! Merry Mabon! Happy Autumn Equinox! Happy Ostara Faeries! Spring Magic is in the air!